From 19 April until about 22 April, sorties were flown by A4D-2Ns to obtain visual intelligence over combat areas. 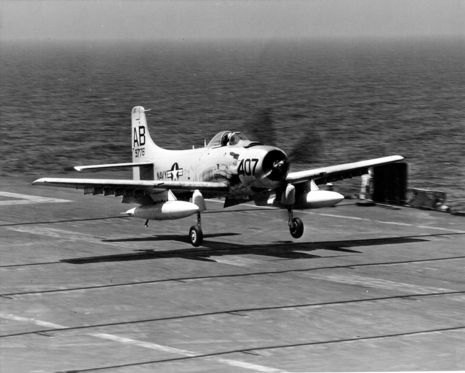 Reconnaissance flights are also reported of Douglas AD-5Ws of VFP-62 and/or VAW-12 squadron from USS Essex or another carrier, such as USS Shangri-La that was part of the task force assembled off the Cayman Islands. 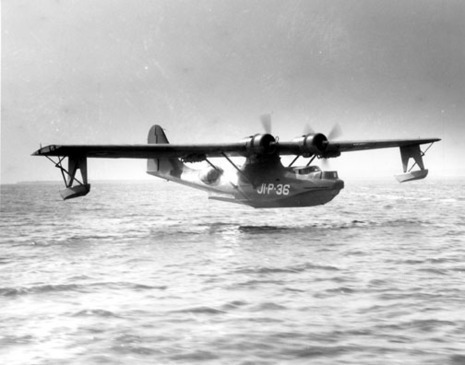 On 21 April, Eaton and Murray, joined on 22 April by destroyers USS Conway and USS Cony, plus USS Threadfin (submarine) and a CIA PBY-5A Catalina flying boat, continued to search the coastline, reefs and islands for scattered Brigade survivors, about 24-30 being rescued. Aircrews killed in action between April 15, 1961 and April 19, 1961 totalled 6 from the Cuban air force, 10 Cuban exiles and 4 U.S. airmen. By the time fighting ended on April 21, 1961, 104 men from Brigade 2506 were killed in action and the rest were captured. Cuba's losses during the Bay of Pigs Invasion are more difficult to determine, but they are considered to be higher. Most pro-exiles sources estimate them to be in the thousands, mostly resulting from a number of failed counter-attacks to drive Brigade 2506 into the sea. Triay mentions 4,000 casualties; Lynch states about 5,000. Other sources indicate over 2,200 casualties. Unofficial reports list that seven Cuban army infantry battalions suffered significant losses during the fighting. The Cuban government initially reported its army losses to be 87 dead and many more wounded during the three days of fighting the invaders. The number of those killed in action in Cuba's army during the battle eventually reached 176 dead. However, these figures are for Cuban army losses only, not including militia or armed civilian loyalists. Thus in the most accepted calculations, a total of around 2,000 (perhaps as many as 5,000, see above) Cuban militia fighting for the Republic of Cuba may have been killed, wounded or missing in action. In addition, two Cuban FAR B-26s, one Sea Fury, and an unknown number of military vehicles, T-34 tanks, artillery and other equipment were lost or damaged in the battle. The total casualties for Brigade 2506 were 104 killed in action, and a few hundred more were wounded. One U.S. paratrooper attached to the unit was among the dead. 4 American airmen and 10 Cuban exile airmen were also killed. In total, 118 Cuban exiles and American soldiers were killed. 1,204 Cuban exiles and 2 Americans were captured, with hundreds of Cuban exiles being executed or imprisoned, mostly on charges of treason. Both Americans captured were also executed. In 1979 the body of Alabama National Guard Captain Thomas Willard Ray, who was shot down flying a B-26, was returned to his family from Cuba. In the 1990s, the CIA admitted to his links to the agency and awarded him its highest award, the Intelligence Star. The Brigade prisoners remained in captivity for 20 months, as the United States negotiated a deal with Fidel Castro. Attorney General Robert F. Kennedy made personal pleas to pharmaceutical companies and baby food manufacturers, and Castro eventually settled on 53 million dollars worth of baby food and drugs. On December 23, 1962, just two months after the resolution of the Cuban Missile Crisis, a plane containing the first group of freed prisoners landed in the US. A week later, on Saturday, December 29, surviving Brigade members gathered for a ceremony in Miami’s Orange Bowl, where the Brigade’s flag was handed over to President Kennedy. “I can assure you that this flag will be returned to this Brigade in a free Havana,” the president promised. The failure at the Bay of Pigs had a lasting impact on the Kennedy administration. The commitment to erase this blot from the historical record contributed to the November 1961 decision to establish Operation Mongoose--a plan to sabotage and destabilize the Cuban government and economy, including the possible assassination of Castro himself. More than 40 years later, relations between Castro's Cuba and the United States remain tense and tenuous at best.